There will be blood. There will be fire. There will be chaos and destruction, and perhaps even an open revolt. No, I’m not talking about the action in Battle of Helm’s Deep, the next expansion for The Lord of the Rings Online, which goes live Nov. 18. 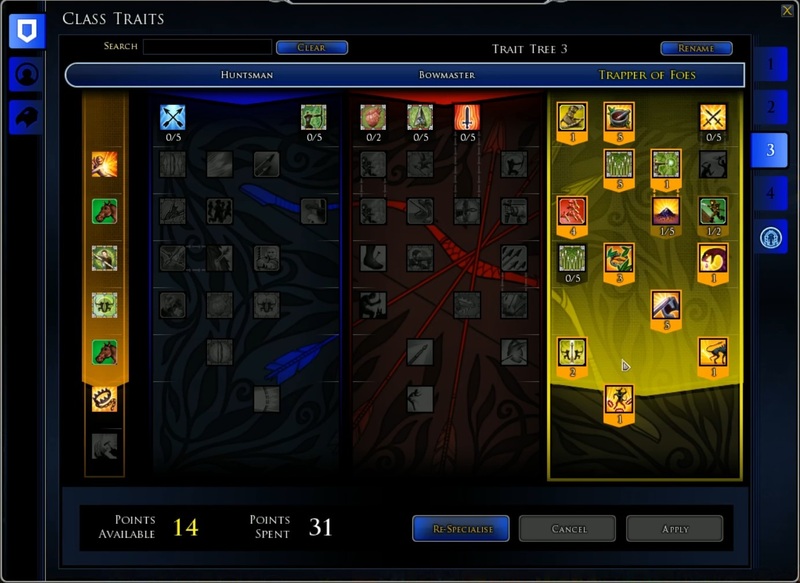 I’m talking about the likely community response to the sweeping changes to LOTRO’s skill system, which will go live with the expansion’s release. In our recent dev stream, Lead Systems Designer Matt Zimmitti admitted that the changes wouldn’t be perfect right out of the gate and that there will definitely be some resistance, but he stressed that they weren’t the results of devs simply ordaining changes “from on high.” Individual parts are implemented on the test server, feedback is gathered regularly, and changes are made that incorporate that feedback. It’s a dynamic process that combines programmer expertise with player response. As for why Turbine’s making the changes in the first place? As Zimmitti said, “Over time, with expansions, classes have gotten so many skills that we realized we’ve added so much utility at the cost of potency. It’s harder and harder to write up really cool and potent skills when each class has such a variety of different abilities. A lot of people are running around with four full bars and skills and we know they weren’t all getting used. 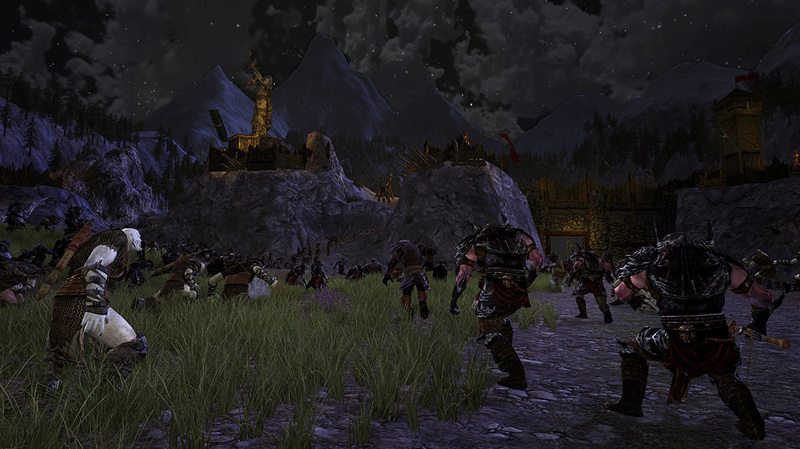 Once Helm’s Deep goes live, characters will accumulate skill points as they level up and complete deeds. 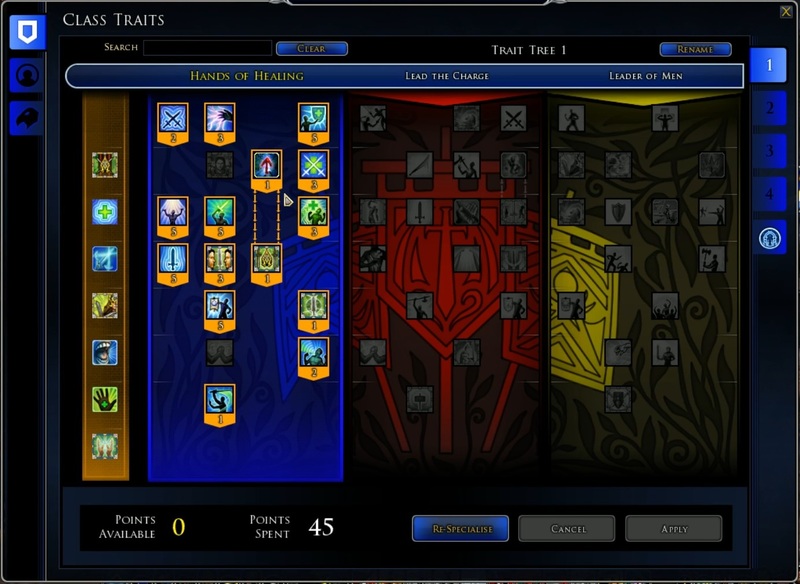 Each build will have a specialization in one of three trees, and while you can “buy” skills outside those trees, they’ll cost you more of your points. So if you just can’t live without that one heal in your DPS build, you’ll still have a way to acquire it. You can “save” multiple builds and switch between them without going back to a bard. The warden’s three trait lines will fulfill about the same general purposes they do now. Determination is the tanking tree, and Recklessness is a DPS tree that specializes in DoTs. Both have much improved AoE versatility, with Determination’s Defiant Challenge being a force taunt that gives the warden a better buff based on how many enemies surround him. Assailment is the ranged DPS/support tree, which had the major issue of being unusable when enemies were up close, due to a minimum range requirement on skills. That’s been removed, though you’ll still get a stacking debuff when you’re in close range, encouraging you to switch to a melee stance. Captains were always the best hybrid class in the game, and the skill trees are each very distinct, allowing captains to specialize in their roles with greater potency. Hands of Healing, Leader of Men, and Lead the Charge are still healing, tanking, and DPS lines, though one big difference is in how buffs work. Instead of the usual “buff every half hour and then do nothing,” captains will have skills like Strength in Numbers, which provide a buff to fellowship members based on the number of allies within range, and the Standard of Honour, which deals damage to enemies and buffs allies in a small area. My first LOTRO character was a captain, and I’m really pleased to see the pre-fight buff routine go away. One has to wonder, though, with captains having all this versatility – and doing it better than before – will they seem too adaptable to all situations? If any class deserved to be rather unspecialized, it was the captain, so we’ll just have to see what kind of balance is struck. The big change to hunters, in my opinion, is the focus on making The Trapper of Foes a viable line. In this line, hunters will be able to lay traps while moving and without any inductions, and the legendary capstone skill, cunningly titled The One Trap, slows, deals damage over time, and, most importantly, has a really cool spikes-y animation. Of course, you can still pew-pew away like before in the Bowmaster line, and – bonus! – be able to move during your many inductions. The hunter, with its Focus mechanic, was probably the least mobile class in the game, so this seems to be another of Turbine’s efforts to “modernize” LOTRO to keep it in line with more action-y MMOs. 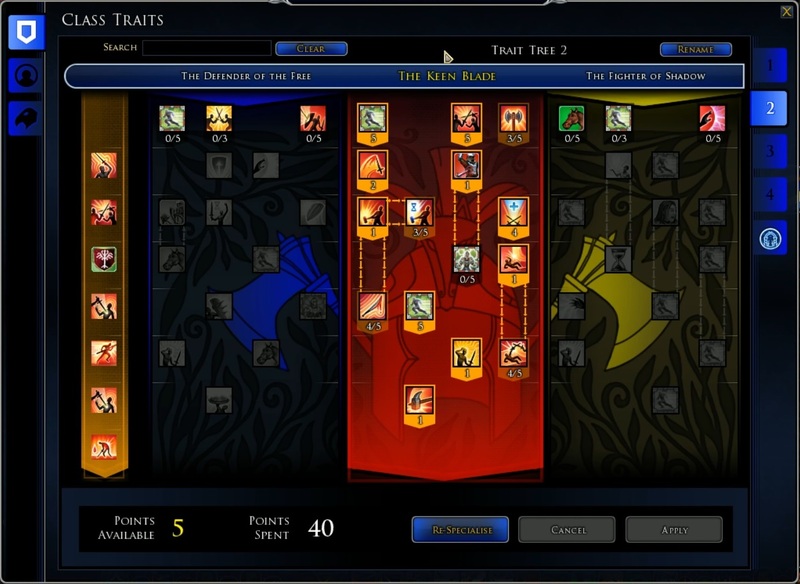 The guardian’s the main tank of LOTRO, so it has a tanking tree, a DPS tree, and… another tanking tree? While Defender of the Free is your typical damage mitigation tree, absorbing the worst the enemy has to dish out and making use of the new Fortification mechanic that buffs the fellowship and lets the guardian absorb even more of their incoming damage, the Fighter of Shadow takes the approach of making enemies hit less hard through debuffs. Skills in the tree can also spread debuffs to other enemies, keeping the guardian as a top option regardless of whether you’re facing one of Sauron’s minions or an entire horde of them. 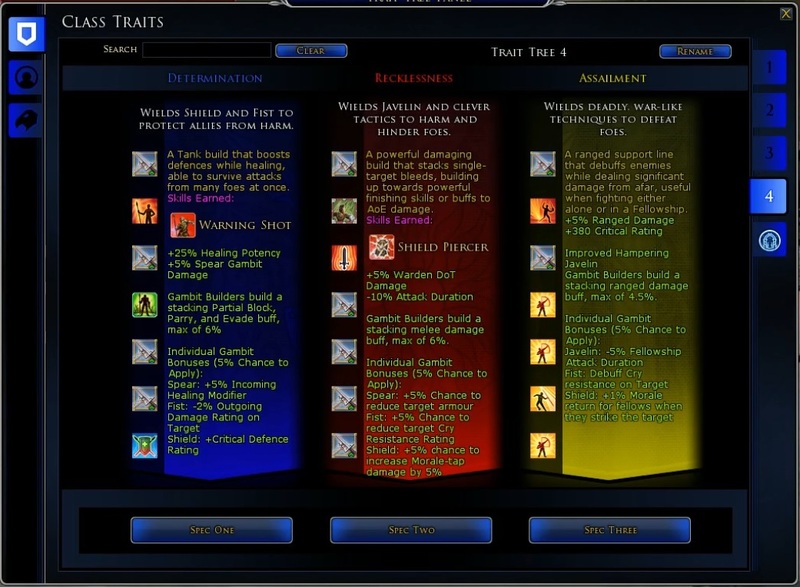 As a veteran LOTRO player, I’ll agree with the basic sentiment that stat bars were becoming too inflated, with some people having four or five full bars of abilities, most of which never got used. It also made it hard for the devs to create new and interesting abilities, when they had six-plus years’ worth of skills to compete with. It will be hard for most long-time players to absorb right off, but I think the changes are for the better, helping to position LOTRO as a title that can remain strong for the next six years and beyond. Skill bloat was definitely a thing, and it was only going to get worse. These changes, while maybe not absolutely necessary, were needed to ensure the game’s smooth continued development. As for my actual least-favorite implementation in the game… I asked that, since skills were undergoing wholesale revisions, would it be possible for other systems – like, say, legendary items – to get a similar revamp soon? Zimmitti told me it was something he was “very interested” in and something that might get looked at next year. I did a little happy /dance_man2 for that. This game for me was the most grind based game i ever played.I did play swg kinda grindy to a point,but this game will make you puke.Looks good loved how huge i mean HUGE the zones are its crazy,but the combat is so dank its sad,If the combat was better i would sink into this one,but that killed it for me after about 3months in-game and the grind had me puking and i just could not do it..Kudo’s to those few players that can handle that grind..you can say ..well you can wait till your high lv then get your skills up and whatnot…but bro..killing a few hundred mobs(same mobs) is still way to gindfest for me..
A lot of these changes..especially hunters moving while firing, is gonna break the already horribly unbalanced moors. There will be raging. go have a look i’d say. theres a heap of events, great HELPFUL community and service. I played this back during the beginning of the year for the first time, heck I even bought the Samwise pack just to be able to enjoy the game a little more…but then I realized I’d have to shell out a lot more to actually enjoy the game as a whole. Which is sorta funny since the game as a whole isn’t all that wonderful to begin with. Given that I’m a big LOTR, DnD, and fantasy fan…I just didn’t enjoy the game much. Mounted! Is this game any good as a F2P game? I was thinking of trying it out. Please let me know. Thanks. To be honest, not that much. The game is on its best in the 40-65 level area and the free to play content only goes to about 30-35. If you wanna truly enjoy the game I adivice you to spend some money, about 40 Euro will do it. It’s not very fun unless you’re willing to spend some money on the game. There are many barriers and restrictions on F2P players. I suggest you skip it if you can’t spend any money. LOTRO is a pretty cool game if you’re willing to pay to unlock content or buy a monthly subscription. Pay2Expansion when I last played. Also, Pay2Mount. Pretty much a Demo until you drop coin on it, although this may have changed since I haven’t played LOTRO in years. Was a decent game otherwise though, probably worth checking out if you are into LOTRO lore.